Astrology is as old as measured time. The word Astrology is derived from two Greek words, Astra, a star, and Logos, logic or reason. It literally implies the doctrine and law as shown by the stars or planets. Our universe is full of all kinds of amazing energies. Astrology allows us to interpret these energies. It's not a religion so we aren't required to start or stop believing in anything, and we don't need to believe in it for it to work. Astrology blends science and intuition, magic and mathematics, cycles and symbols. It focuses on planets and their seasons, and planets are real. In fact, they're so real that their movements are consistent and recordable. Astrology allows us to draw parallels between the orbits of heavenly bodies and events down here on Earth. It allows us to surf the cosmic waves by glancing at our own "tidal tables," or planetary ephemeredes, and by figuring out how to get the best ride from the tide that's en route. It validates our hunches and supports what we already know. 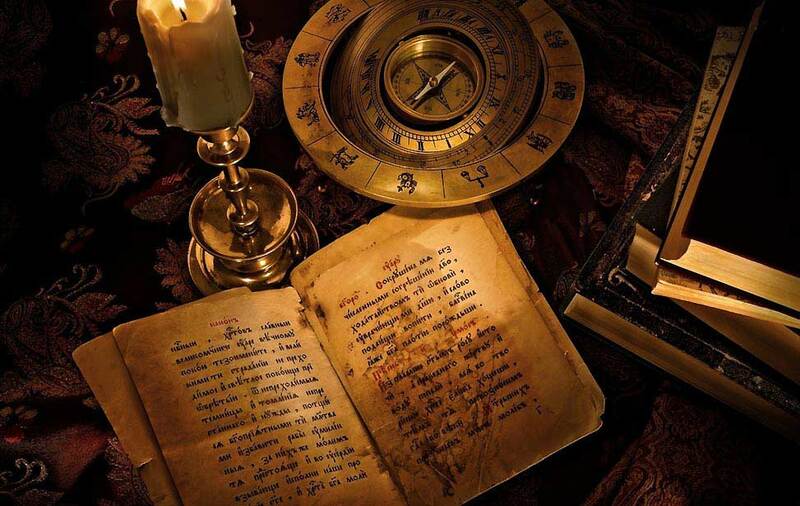 Astrology is a language, a symbol set, and a guide to understanding the world, life, and the cosmos. Your astrology chart or your horoscope is your personal map, calculated using the date and time you were born from the perspective of your birth location. From that information, a circular, clock-shaped diagram emerges that shows where every planet, star and asteroid was located at the moment you made your debut. Your chart is a cosmic snapshot that freeze-frames the universe exactly as it was from your perspective. You carry that same perspective around with you throughout life. The horoscope chart is your blueprint—your cosmic backpack, an owner's manual that shows what you packed into your "tool-kit" for this lifetime and how best to use it. It's the circular lens that colors the way you see what's out there. Everybody's got one, and no two are ever the same, which is pretty amazing. But there's more—since the chart is a map, everybody's got one of everything. Professional astrologers do not hold with theories of celestial influence. Instead, the modern astrologer conceives of the heavens and Earth as united, interpenetrating, and sharing a common space and time. The great cosmic or celestial events happening around and beyond the Earth (eclipses, lineups, and so on) are not seen as CAUSING events to occur on Earth, but as great signatures of events ALSO happening here on Earth. In other words, there is no "cause" in the heavens followed by an "effect" here on Earth. Instead, both planetary and earthly events happen simultaneously and are mutually reflective. Neither is the cause of the other; both are the product of the moment, one acted out in the heavens above, the other here on the Earth below. In summary, astrology is a study of heavenly cycles and cosmic events as they are reflected in our earthly environment and vice- versa -- a vast cosmic clock. Astrologers find the cosmic patterns revealed in the rhythmic motions of the planets a great help in shedding light on the seeming helter-skelter of everyday life. Astrologers may have their heads in the heavens, but only to better guide their feet here on Earth.